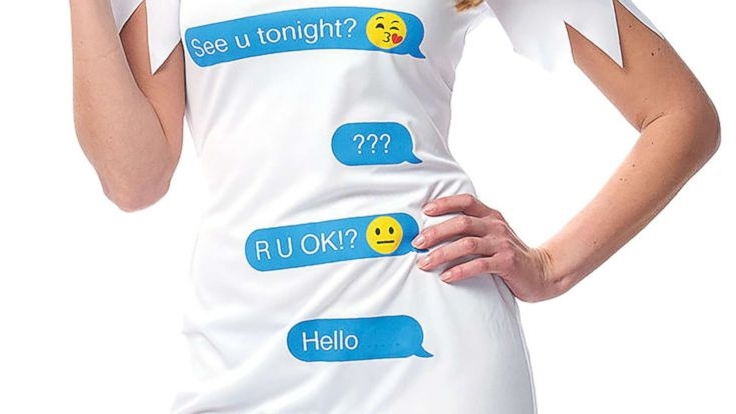 A Halloween costume poking fun at the devastating act of "ghosting" now exists. (NEW YORK) — A Halloween costume poking fun at the devastating act of “ghosting” now exists. “This is done in hopes that the ghostee will just ‘get the hint’ and leave the subject alone, as opposed to the subject simply telling them he/she is no longer interested,” according to Urban Dictionary’s website. Twitter users quickly sounded off on the costume. “LOL figured out what I’m gonna be for Halloween cause it’s happened so many times to me,” one woman wrote. “I can’t believe they really have a costume of how it looks when you’re being curved #ghosted,” tweeted another. Troll all the boys who have ghosted you for $24.99. The costume is available on Party City’s website.